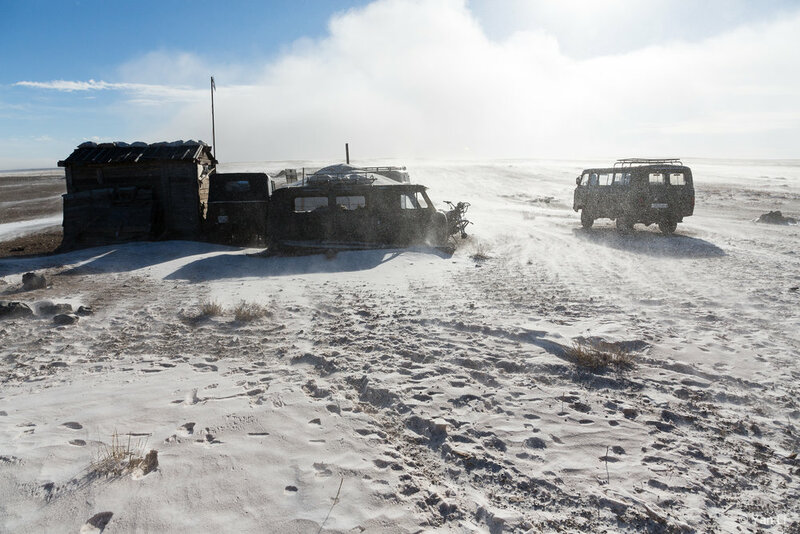 The vast steppe in Mongolia is home to one of the world’s last surviving nomadic cultures. 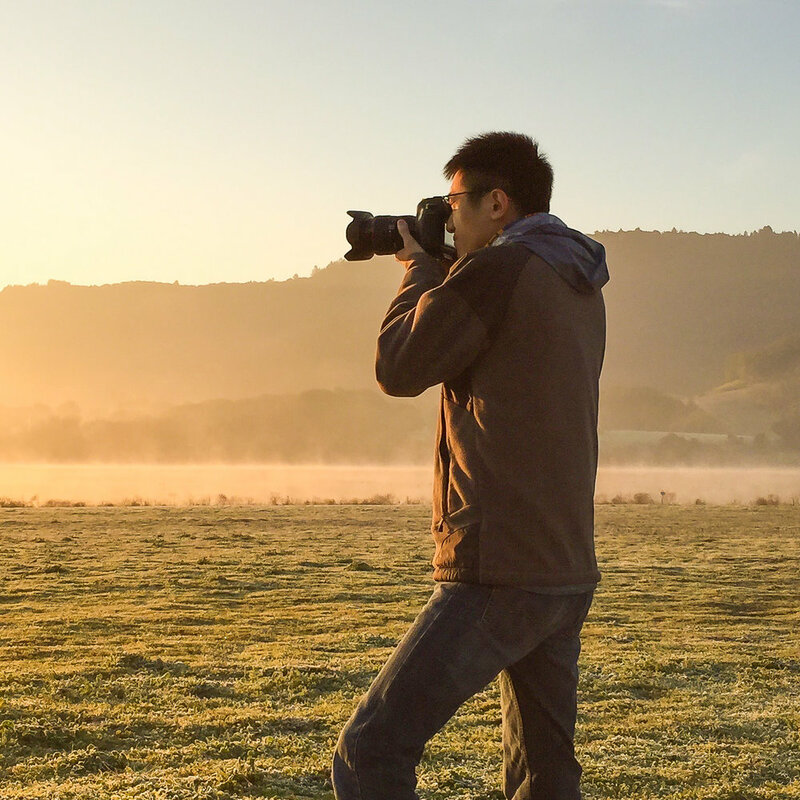 Due to its landlocked position, the way of life on the steppe is able to be retained from ancient history. However, the fate of the nomadic culture is now facing uncertainty due to climate and political changes. 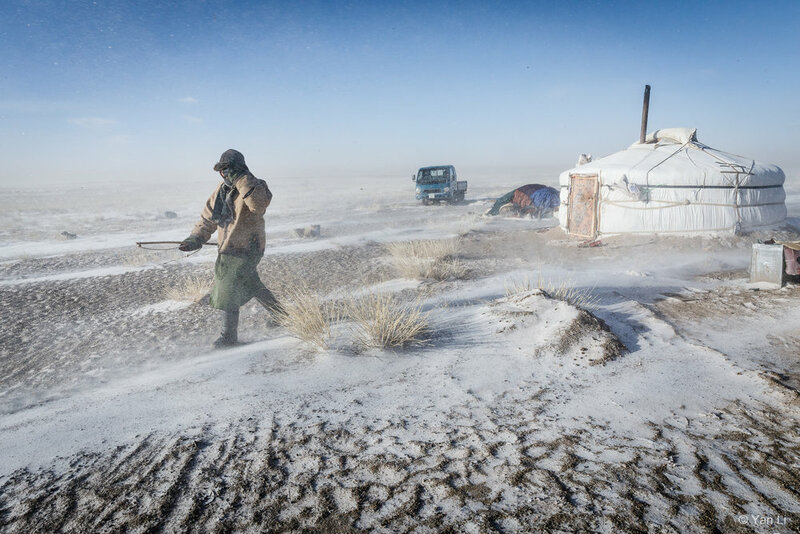 The dzud climate phenomenon which creates unusual harsh winters following summer droughts, has made life difficult for herders on the Mongolian steppe. 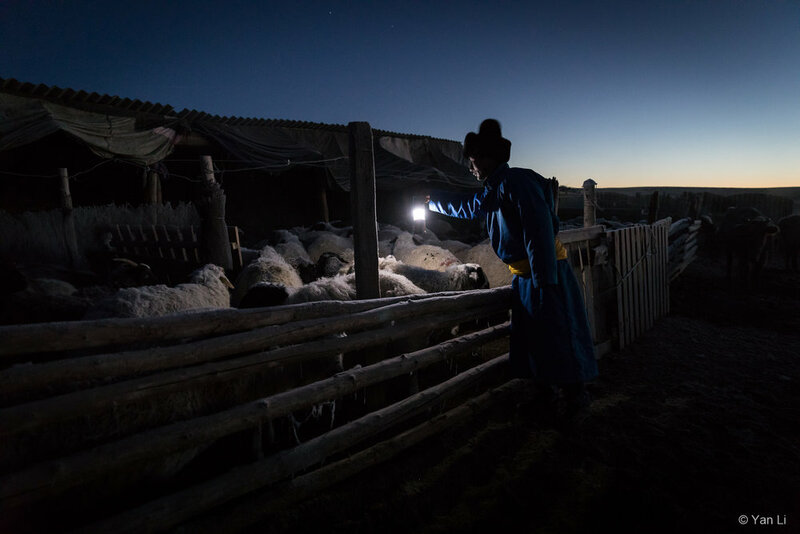 Since communism ended in 1990, herders have to deal with each dzud on their own without governmental support. 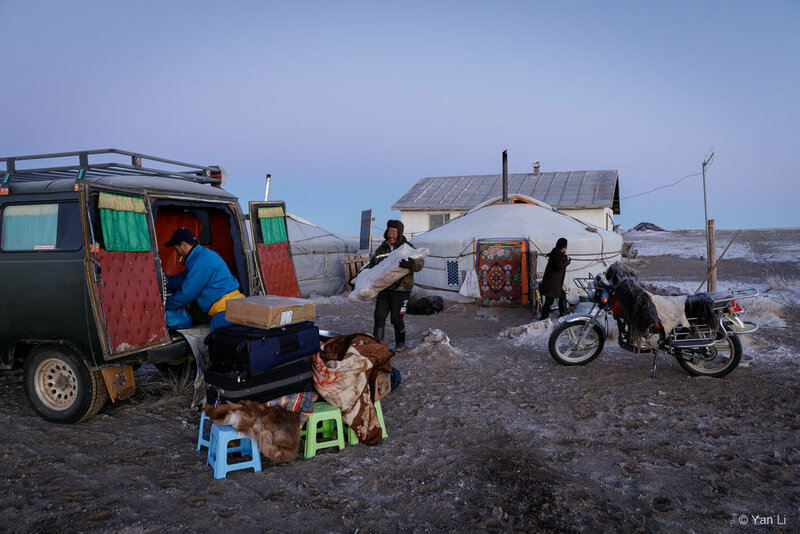 Many herders suffering massive loss of livestock are forced to migrate to the capital, Ulaanbaatar to find work. 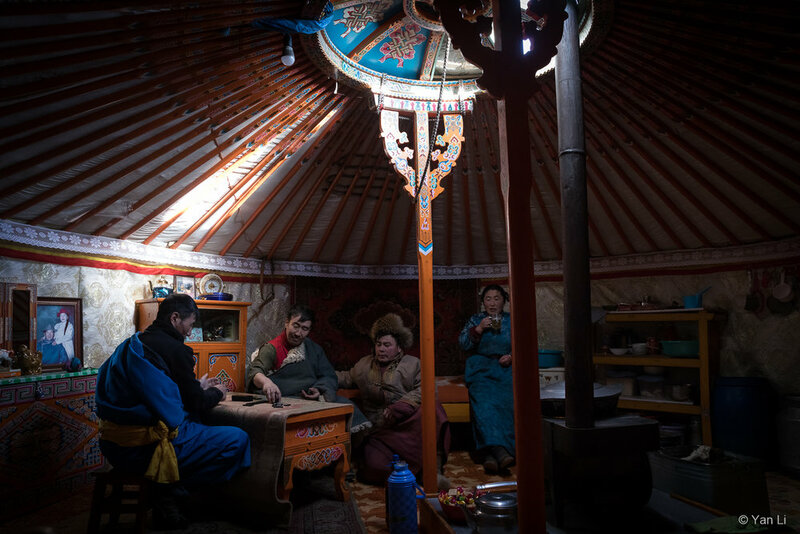 Additionally, the changes of Mongolian economic and social activities also attract people to seek better schooling, higher wage and modern conveniences in cities. Such an extraordinary scale of migration poses serious infrastructure challenges for municipality. 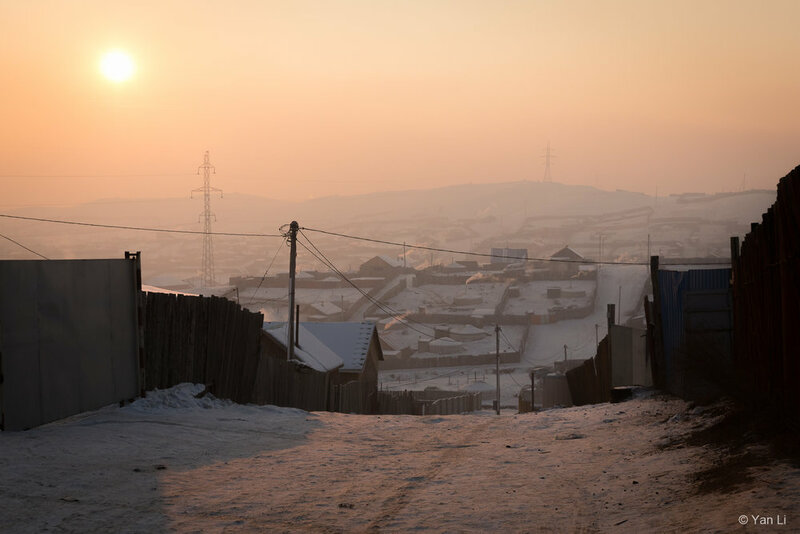 Due to excessive burning of coal, Ulaanbaatar is now one of the most heavily polluted cities in the world. 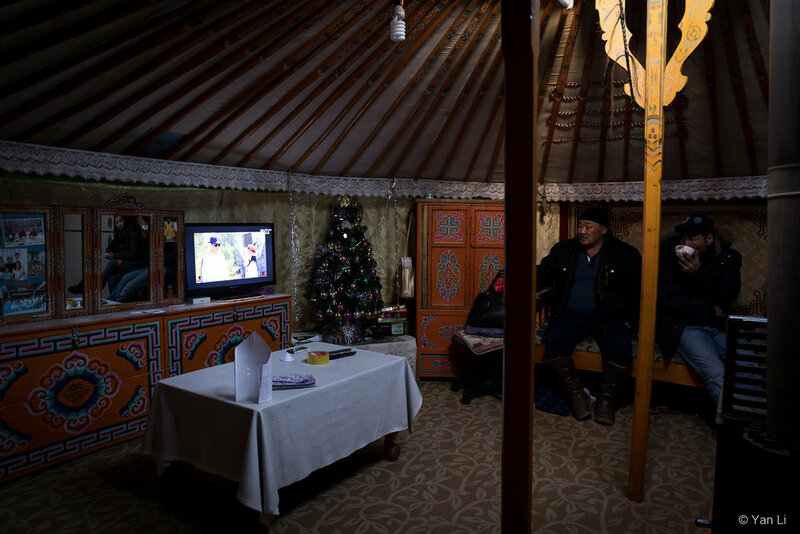 On the other hand, nomads who remain on the steppe are facing a choice that will shape the future of their country: withstand new threats on the steppe, or give up herding in search of new opportunities.